We hope everyone is enjoying this perfect quilting weather we are having! We are sending our monthly newsletter a day early just as a reminder of all the events we have on the calendar over the next few days. Thank goodness the temperatures are starting to normalize in time for our big accuquilt Go! event happening at the shop tomorrow and Saturday. 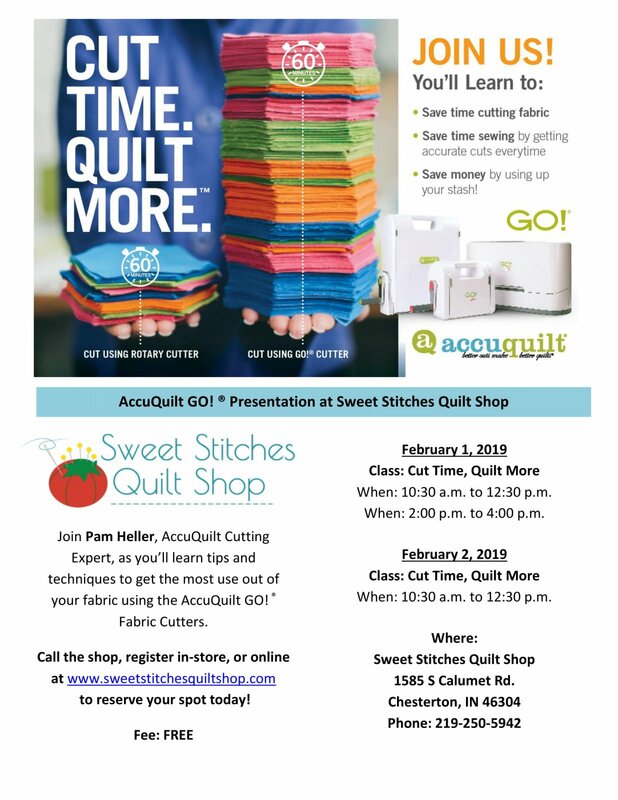 We have a national trainer from accuquilt that will make presentations Friday, February 1, 10:30am -12:30pm or 2:00pm - 4:00pm and again Saturday, February 2nd 10:30 -12:30. We are still reserving spots for those that would like to see how the accuquilt cutting system can help you Cut Time! Quilt More! Also on Saturday, February 2 at 12:30, we will begin our Quilt of Valor National Day of Sewing Event where you can make a Quilt of Valor quilt block. You will cut out a block on the accuquilt cutting system and sew up your block on our elna sewing machines. All the materials and machines will be provided for you to use. All we need is you! Stop by the shop Saturday afternoon to make a block or two for a quilt that will be awarded to a veteran in honor of their service to our country. Our goal is to cut, sew and make enough blocks for 3 quilts and we would love for you to be part of this very worthy cause. On February 3 we will hold our annual Pre-Game Mystery Party for those players who signed up to be part of the team. This year our team will have 18 players who will receive clues every half hour to complete a mystery quilt top in an afternoon and still be home in time to watch the big game. We hope to see you at one or two of the upcoming events this weekend. 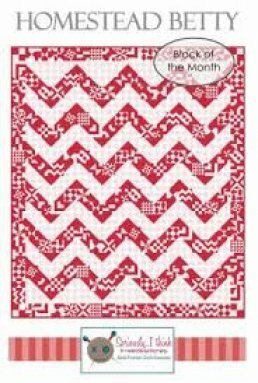 No need to stay in this winter and quilt alone, if you are looking for classes, we have the February and March calendars on the website. If you have a group that would like to get out and take a class, we can put something together for your group. We are always happy to help with projects and we have Free Sew Fridays where you can get help and hang out for the day sewing with other quilters. If you just need an excuse to get out of the house for a little color therapy, we will be here so stop in and see us! 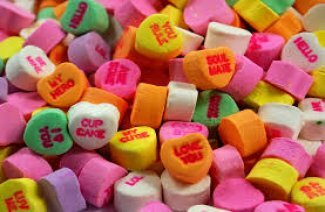 Happy Valentines Day! Be sure to check out the Event Day Special Offers on Go! Big, Go!, Ready Set Go! and Go!me Cutter Systems! Sweet Stitches Quilt Shop will host our annual Quilts of Valor National Day of Sewing event on Saturday February 2, 2019 immediately following the accuquilt training session. Stop in the shop or stay after the accuquilt event to make quilt blocks that will be used to create a Quilt of Valor. Whether you are an experienced quilter or a novice, we will have members of the local String-A-Long Stars & Stripes Group on hand to assist you through the process. The Quilts of Valor Foundation honors Veterans for their service to our country though the gift of Quilts. The Quilts of Valor Foundation has awarded over 177,000 quilts since 2004. The String-A-Long Stars & Stripes Group, an off shoot of the String-A-Long Quilt Guild, has been making quilts to honor veterans since 2014 and has made over 250 quilts. The National Day of Sewing takes place at this time every year as quilters, quilt groups and shops get together to make quilts as a nation. Sweet Stitches is excited to be an Official Quilt of Valor Shop and to be a part of this National Sewing Day. This is our third year hosting this event at our shop and we would love to have our customers and friends join us. Stop by Sweet Stitches Quilt Shop on Saturday afternoon, February 2nd to make one of three different block designs or try all three! Our classroom will be set up with our new AccuQuilt Cutting System and elna sewing machines. Sweet Stitches will supply all materials for the project and members of the String-A-Long Stars & Stripes Group will be there to help anyone wanting to make a quilt block to honor a veteran. Make a block on February 2nd and your name will be put into a drawing for one of three Sweet Stitches Quilt Shop Gift Certificates $25.00, $15.00 and $10.00 will be drawn at the end of the day. (winner need not be present). We will give the winners a call and certificates can be picked up the following week during our business hours. We hope you can join us to make a quilt block for Quilt of Valor and thank a veteran for their service to our country. Sweet Stitches is excited to host its Third annual Pre-Game Mystery Party. We have a full roster of players this year ready to take the field on Sunday. 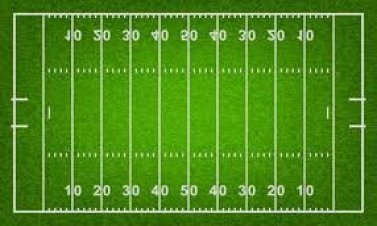 Gates will open at 11am with the first play (clue) provided at Noon. We will have Food, Fun and a Signing Bonus for each player. We look forward to seeing all of you that pre-registered for this event! Go Team Sweet Stitches! We would like to THANK everyone that participated in our Grand Re-Opening Event held January 2 - 5, 2019. The turnout was amazing and quite honestly touching and humbling to see so many friends and friendly faces. We are pleased that the shop expansion turned out as well as it did. Truth is we had a few worried moments wondering if it would all come together but as you could see, we crossed the finish line on time. We thank you for your business, your inspiration and your friendship. Congratulations to our Grand Prize Winner a new elna 550.... Pat Pullara! The Shop Hop will feature multiple Vendors, Door Prizes, Food and More! This is a great opportunity to get out of the house in the middle of February! Month 1 - The first Blocks for our "Homestead Betty" Block of the Month are ready for pick up as of February 1st. This Sweet Little Red & White Pieced Quilt is made in the Maywood Studio Fabric line “The Little Things”. The quilt hanging in the shop was assembled by Linda Poparad and quilted by Judy Holden. A new block will be released on the first Friday of each month. Free Sew Friday will resume on February 8th! Our classroom is available on Friday's from 10am until 4pm to anyone that would like to work on their sewing/quilting project. Use the space, meet new people and enjoy a day of sewing. Bring your machine or call ahead to reserve one of our classroom elna machines for the day! 1st Friday Demo Day will return on March 1st at 10:30am when Joan will be "weaving and a woven" through some fun fabrics, patterns, rulers and tools that can add texture to your quilts. As always, the 1st Friday Demo is FREE! 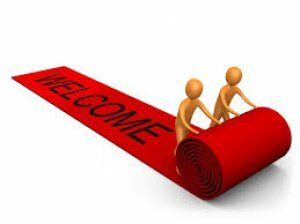 We would like to welcome Darla Zajicek as she joins the team at Sweet Stitches. Darla is an experienced quilter, past President of the String-A-Long Quilt Guild and already a friend to many of you. Darla will be in the shop, available to assist with projects and questions and will be offering classes in the future. Welcome Darla! General Maintenance and proper technique are critical for optimum performance of your sewing machine and project outcome. As you already know, Sweet Stitches is an authorized elna dealer. We made the decision to carry the elna brand due to its value and history. 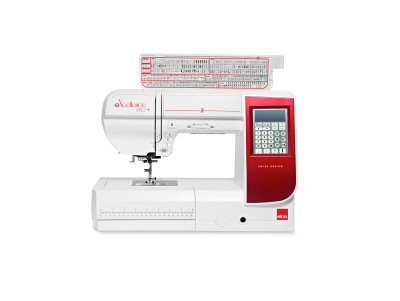 For the money, per inch of throat space and for the variety of features and warranty found at each level, elna represents the best machine value among a crowded list of worthy competitors. As an exclusive Swiss-designed specialty brand, an elna can only be sold through authorized dealers. You cannot buy a new elna on-line through warehouses. Buying an elna from a brick and mortar dealer means that you will receive training, support and service directly. This is the elna brand promise. Recently elna has announced two new machines, the 680+ and the 780+. This is elna's continuation of a redesign of its machine styling. You can see these two machines in the shop. Similar to the recently added 570 and 550, the 680+ and 780+ have Red styling cues rather than the familiar blue. The red color and the addition of the + is a nod to the Swiss flag. Elna machines remain Swiss designed and engineered and to emphasize this fact, newly released machines will have styling updates that bring a fresh brand presentation to the entire line. So yes, you are seeing Red and they are still elna's, Swiss engineered, excellent machines and a great value for all they offer. Stop in and test one out! Quilters of all skill levels can find encouragement, inspiration and creativity at Sweet Stitches Quilt Shop. Located in Chesterton, Indiana just a few miles from the natural beauty of the Indiana Dunes National Lakeshore, Sweet Stitches Quilt Shop is your destination for fabrics, notions and all things quilting. We carry a wide variety of brights, batiks and reproduction fabrics as well as notions, patterns, books and Elna sewing machines. Our large classroom offers students everything they need to learn and grow their quilting talents. From fabric selection to project advice to training on your new machine, our friendly, knowledgeable staff is ready to assist. Stop by the store or click the "Shop Online" link to view our wide variety of products ready to ship direct to your door.